O Christmas tree! O Christmas tree! How lovely are these Christmas crafts! The tree is up and the ornaments are hung. Now it's time for some Christmas crafting. 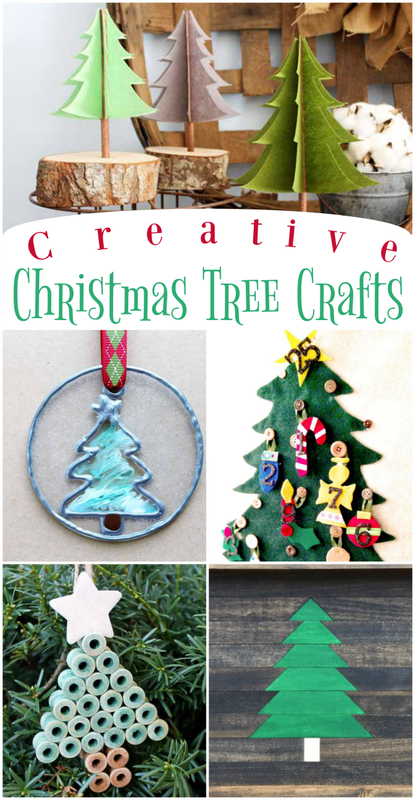 Celebrate the season with these cute Christmas Tree Crafts! They are perfect for both kids and adults alike. 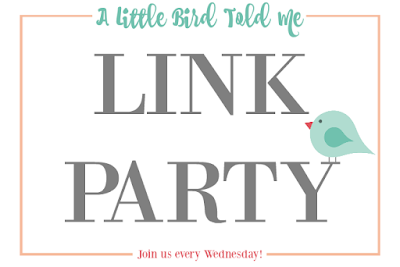 Whether you're hosting a craft party for a group of friends or just getting creative on your own at home, these fun ideas are sure to put you in the holly jolly spirit! How cute are these?! This whimsical craft is perfect for holiday decorating! This adorable ornament uses a technique I can't wait to try! And why stop at just trees? The possibilities are endless! Looking for a creative advent calendar idea? Here's one of the most creative ones that I've ever seen! And the best part is that it can be reused year after year. With just a few simple supplies you can create charming ornaments for the tree. Click on over to see how this was assembled out of little wooden spools. So neat! Various cuts of wood all come together to make this wonderfully designed serving tray. So impressive! 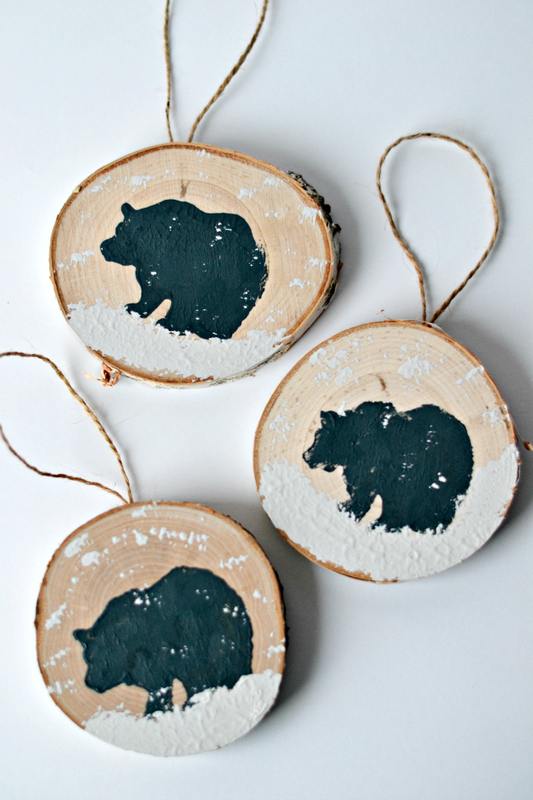 You might also like these Painted Wood Slice Ornaments! Happy crafting! Love all of these! Thanks so much for the feature!